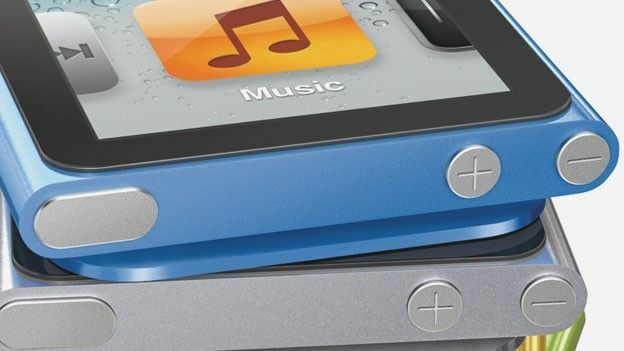 Having issued a worldwide product recall last month for the original iPod Nano, Apple has begun shipping out latest-generation replacements with a number of consumers reporting the arrival of a pre-Christmas surprise courtesy of Cupertino. Initiating the product replacement scheme due to overheating issues with the now aging Nanos those affected by the switch have confirmed that their replacement iPods are beginning to land on doorsteps with Apple opting to replace the five year old devices with brand new touchscreen models. “FedEx just dropped off my new Nano and it looks like the latest Gen. I forgot about this and to my surprise I have a new nano. So merry Christmas to me from Apple,” one happy consumer announced via a forum board. Another lucky recipient said: Just checked my new replacement serial number too — it also shows a 6th gen ipod. Sweet!!! Making the recall announcement in November Apple attributed the issues to an apparent safety risk posed by an overheating battery. According to an e-mail sent out to registered first-gen Nano owners, in what Apple is calling "very rare cases" the battery can heat up to the point where it poses a "safety risk". The problem, which primarily affects devices produced between September 2005 and December 2006, apparently comes down to batteries manufactured by a single supplier, and whilst rare, the chances of battery problems flaring up reportedly increases with age. Apple is offering all affected users a free replacement. If you're still using your original Nano and think you might be affected, you can punch your Nano's serial number into Apple's website to check. Affected Nano's will be replaced in under six weeks, although any personalisation or engravings will not be transferred to your new model. Have you been effected by the original Nano replacement process, has your new 6th gen iPod arrived? Let us know via the comments box below.